Contact us by phone, email, or visit a local campus! Our team can tell you more about becoming a student, or simply answer general questions about the College. Our admissions team is ready to answer your questions. Get the contact information and hours for your local campus. Each department is here to support you and your unique goals. 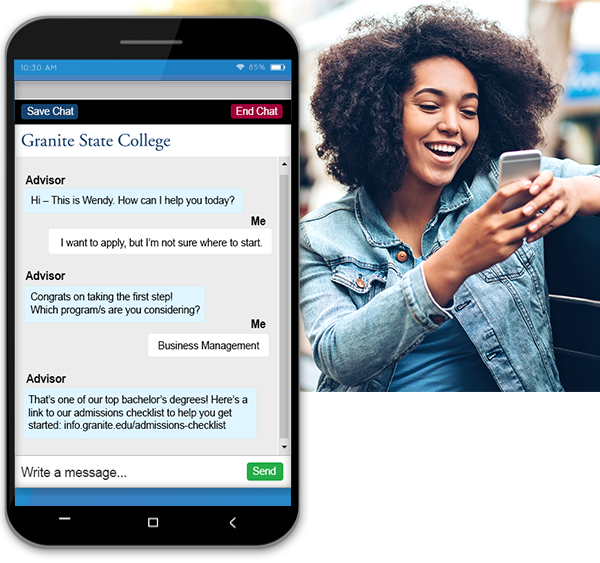 Instantly connect with an advisor to answer any of your questions.